A hybrid blend of draperies and ordinary blinds, vertical blinds from Sunburst Shutters and Closets are the perfect window treatment for large, bright windows. Available in an unmatched range of fabrics and colours, home owners are sure to find a set to match any interior design dream. With a variety of louvres and fabric vane options to choose from, buyers can customize their Sunburst blinds to their personal design preferences. Free hang fabric louvers create an elegant aesthetic while louvers with groover panel inserts maximize sleekness. In addition to louver options, Sunburst boasts a broad range of popular colour and texture choices. Classic white, warm cream and soft periwinkle blue are just three of the over 200 colours customers can choose from. Material appearances including linen, silk, bamboo, leather and wood are also available. Homeowners can also select flame retardant fabrics and moisture-resistant faux wood materials that endure in damp climates. In addition to Sunburst’s sophisticated range of styles and design, they also offer customers quality features that ensure vertical blinds will last for years to come. All blinds come with durable vinyl vanes that are easy and quick to clean. Stacking options include left, right, split draw, and opposite stack. Cordless, cord and motorized blinds are all available. For efficiency enthusiasts, convenience the cordless wand control option means blinds can close in seconds at the touch of a button. Hold down bracket accessories prevent blinds from swaying and clattering in breezy rooms or homes with active children and pets. Homeowners in the market for the ideal window treatment for their oversized windows, doors and sliding doors need to look no further than the vertical blind. Not only do they solve the issue of controlling the glare from massive windows but their unique engineering makes them perfect for spaces like sliding doors due to how easily one can pass through them, allowing for the maximum accessibility. On top of functionality, the height amplifying visual illusion created by vertical blinds makes large windows appear even more opulent. On top of excellent quality, Sunburst shutters holds itself to the highest standard of service, a commitment that is reflected in client’s glowing reviews. From the first consultation to the thoughtful and efficient installation, the expertise and enthusiasm of Sunburst staff will put any home-owner at ease. For a crisp and neat look, aluminum blinds, or Venetian blinds, are buyers’ window treatment of choice. These blinds are sleek and compact, making them nearly invisible when gathered away, yet still perfect for light blocking when pulled down. With a variety of shades, sizes and accessories to choose from, customers can customize these blinds to their heart’s content. One of Sunburst’s greatest benefits is its extensive variety of colours and finishes. Striking teal, sophisticated coffee brown and crisp white are just some of the colours buyers can choose from to customize their blinds. Other style options include metallics, wood appearances, perforated, and more. With such a broad range of aesthetic themes to choose from, these custom-made blinds will surely add a unique addition to any room and compliment any design style. The specially-crafted blind slats in the Venetian blinds are constructed from tempered aluminum. Buyers can choose from three standard sizes: 1 inch, 2 inch, 2½ inches. A collection of customized accessories are also available to maximize functionality including hold down brackets that prevent blinds from swaying in breezy spaces. With the 2-inch size option, buyers can choose to customize blinds with decorative cloth tape.All blinds come with cordless, cord or motorized options. Motorized options are especially popular in sunlit rooms where brightness fluctuates throughout the day. With a press of a button, homeowners can close their aluminum blinds and filter out glaring sun rays. Why Aluminum and Venetian blinds? What sets aluminum blinds apart from other window treatments is their resilience and durability. The masterfully-engineered design and sturdy aluminum material lasts better compared to fabric or wooden blinds. As expected, metal blinds resist wear and tear, making them ideal for climates with frequent and extreme climate fluctuation. On top of quality materials, these blinds come at a an incredibly affordable price. With an affordable price tag and competitive warranty, homeowners who choose to purchase aluminum blinds will find their investment continues to pay off for years after installation. In addition to unmatched quality, Sunburst Shutters and Closets holds itself to the highest standard of service, a commitment that is reflected in client’s glowing reviews. From the first consultation to the thoughtful and efficient installation, the expertise and enthusiasm of Sunburst staff will put any home-owner at ease. Timely, professional and detail-oriented services sets Sunburst apart from the crowd and makes the decision to install Sunburst shutters a no-brainer. Looking for some interior pieces that have an earthy feel? Then custom wood blinds are the way to go. These custom design wood blinds are the perfect choice for many rooms due to their versatility, the wood style is a perfect blend for a number of interior designs. A popular use for them is as living room blinds. With the customizations that can be done, they will make your space feel charming and welcoming with ease. Having the ability to create a design that’s perfect for your unique home adds a benefit that can top just about any other available blinds. The feeling of sitting in a room that you had a hand in creating is all the more satisfying. You know what’s best for your home, so why let someone decide? All of our blinds are made with care and the very best materials to ensure that your purchase will last for years to come. We want you to have your dream space for as long as you desire — these are the ideas we think about while creating our products. We also take pride and creating products that not only help our customers, but help out our home, Earth. Both horizontal blinds and vertical blinds offer great eco benefits, since they work as a natural way to insulate your home, keeping it cooler on hot days and helping to keep the heat inside when it is cold outside. Horizontal or vertical wooden blinds? Find out what custom designed wood blinds can do for your home design. With a large selection of colors and fabrics, diverse light-filtering options and flexibility in light control, our custom roller shades and panel tracks will make your home feel even more like yours. Find out what custom roller shades and custom panel tracks can do for your windows. When you shop with Sunburst Shutters, you get more than just roller shades and panel tracks. You get endless window treatment options. Anything from fun, unique designs to the basics and classics, it can be made just for you. Whether you need long and lavish curtains or some short and simple shades for your room, it will be created with high-quality materials and you in mind. With these durable and stylish materials, you can trust that your new windows treatments will be around for you to enjoy for years to come. Sunburst Shutters’s selection also includes curtains that let you determine just how much light you want into your space. If you’re someone who needs sunlight to thrive or you work nights and need all the darkness you can get, we’ve got you covered. With custom designed roller shades and panel tracks that are able to be tailored to your every wish with a huge selection of fabrics, colors, and designs, you’ll have the freshest space around. Fabrics and weaves with a variety of opacities and textures offer a wide range of light-filtering options to suit any room. Incorporating custom-made designs in your home can really elevate the room and offer a sense of your own individuality that you just can’t get when buying pre-made styles. With the roller shades, they are the perfect addition for a space where it is inconvenient to have shade strings or they can just be the minimalist style to go along with a simple space. They can also be incorporated with smart devices in your home, so you can be the most stylish and the most tech savvy. Experience the privacy you need without sacrificing the sunlight you crave. Find out what custom designed sheer shades can do for your windows. The sheer shades are a popular modern choice thanks to their functionality and style. They are created using layers of fabrics that are softer and create a shield of privacy, but still being light enough so that the sun can peek into the space to make it more welcoming. They offer clean lines that are timeless and will continue to brighten up your room for years. Why choose custom sheer shades? A customizable shade that looks great and fights harmful UV rays? What more could you want? The best part of the design sheer shades is how multi-functional they are. They are more than just a living room shade, they do more than just make a space look better or block the sun. They come together to make this great product that will serve you for the long term. With the clean lines and design of these sheer shades, your home will look as trendy as ever. It’s a very simple look that can elevate everything in your existing room. One simple change can make a big difference. Being able to style and design your own shades gives a real sense of individuality and offers a more hands-on approach that you’ll remember down the line. Being able to pick out the colors, designs, fabrics, etc. will be a treat for you and your team. The sheer shades are great because they can be layered with other types of shades. If added just right, they can really change the space and give it an updated, trendy and memorable look to any space in the home. These shades are shades that you can keep in your home for a decade and they’ll still look great. 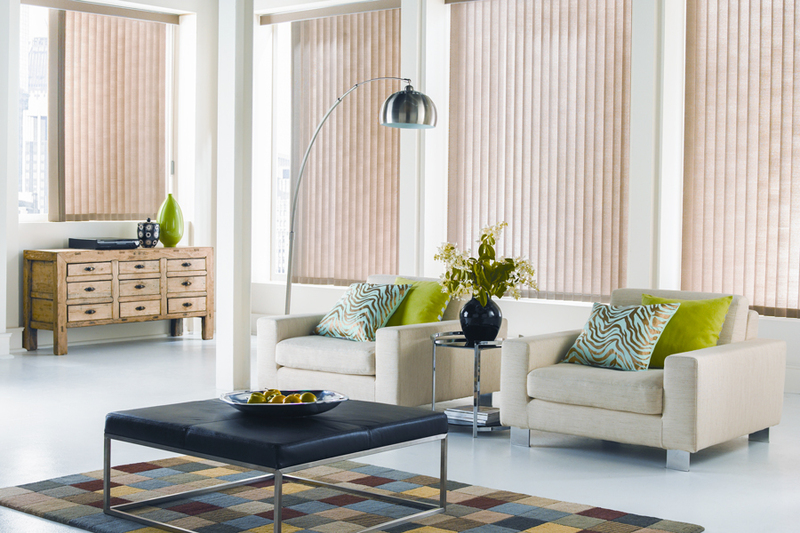 The trendy, modern style on these design sheer shades is what makes them so timeless. They are simple and classic, so they’ll never be out of style. The premium Roman Shades from Sunburst Shutters and Closets offer a timeless shape that fit seamlessly into any room. These excellent window coverings meet the highest standards in quality and design. Each shade is composed of quality materials and parts for maximized longevity. Roman Shades have been around for centuries giving them a classic look that never goes out of style. The ability of these shades to keep up with the trends make them the perfect long-term window treatment that continues to deliver on its value over time. Combined with high-quality accessories, these shades are built to last in style. Sunburst provides clients with full control over light blocking options, making shades perfect for day or night. Shades are customizable from a sheer fabric to a light filtering privacy liner to room darkening and 99.9% light-blocking technology. With this generous array of opacities, the Roman Shades can be customized to the brightness needs of any space. These options are especially useful in dens, home offices and south-facing rooms for letting in just the right amount of sunlight while still blocking glare. When customizing their Roman Shades, clients can choose from a myriad of colours that are sure to compliment any interior colour palette. The dark earthy brown options add a touch of sophistication to living and dining spaces while the soft celadon green creates a tranquil atmosphere in quiet bedrooms. The regal Egyptian blue shade adds a tasteful pop of colour and pairs well with a lively décor. On top of colour choices, shades come in a range of materials and textures. Flat or hobbled profiles are both available at the client’s discretion. Sunburst offers clients an array of accessories that pair with the Roman Shades to optimize functionality. Cordless, with cord and motorized options, are all available depending on efficiency needs. All shades can be installed in any window shape and feature side to side or top down/bottom up control systems. Discreet hold down bracket accessories are also available to prevent shades from swaying. On top of excellent quality, Sunburst shutters holds itself to the highest standard of service, a commitment that is reflected in client’s glowing reviews. From the first consultation to the thoughtful and efficient installation, the expertise and enthusiasm of Sunburst staff will put any home-owner at ease. Timely, professional and detail-oriented services set Sunburst apart from the crowd and make the decision to install Sunburst shutters a no-brainer. Cellular Shades from Sunburst Shutters and Closets are the perfect window treatment for a subtle yet elegant aesthetic. Honeycomb style shades fold delicately away to allow maximum sunlight while thicker material shades offer complete darkness when pulled down. Like many of Sunburst’s innovative products, the cellular shades are masterfully engineered to maximize energy efficiency with an array of insulating cell models. Insulated cells create an environmentally friendly temperature control system that your heating bill will thank you for. All shades are available with cordless, cord or motorized options depending on clients’ efficiency needs. The swift and quiet motorized option continues to please clients looking for a convenient day to night shade for living rooms and bedrooms. No need to get out of bed to close the curtains, just a touch of a button and the Cellular Shades with close on their own. 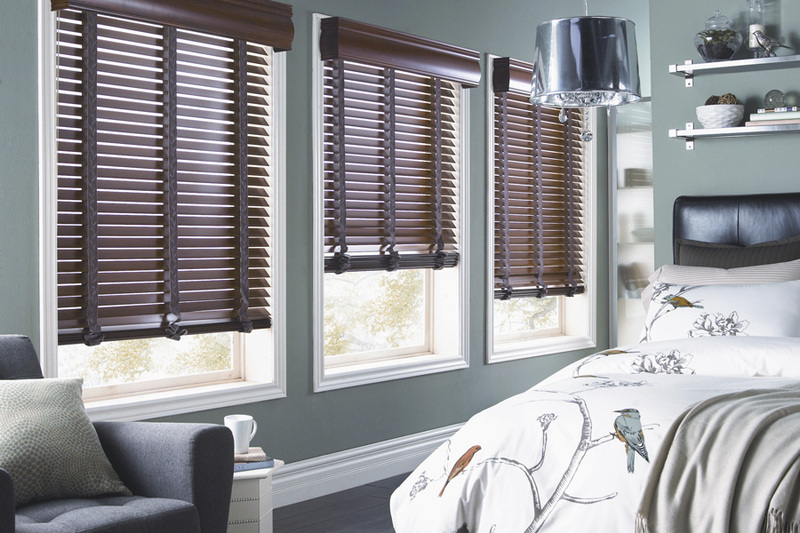 With up to 99 percent light-blocking technology, these shades don’t compromise any home-owner sleeping needs. Light-filtering liners and lighter materials are also available and make the perfect finishing touch in a bright, airy space. Light filtering shades are also popular for preventing excessive light glare in home offices while still allowing some sunshine in. Worried above shade swaying in a breezy kitchen or clattering during a dinner party? Discrete hold down bracket accessories are available to prevent shades from swaying. One of the clients’ favourite elements of the Sunburst company is its absolute flexibility in customizing window treatments. With customizable installations, any window shape and size can be outfitted with Cellular Shades. The select Skylight Application offers a unique light blocking solution for the previously hard to reach skylight and is available in motorized or manual. Shades can also be installed to slide from side to side or fold both top-down and bottom up. These customizable shades fit neatly behind window seats, curtains and on sliding doors. 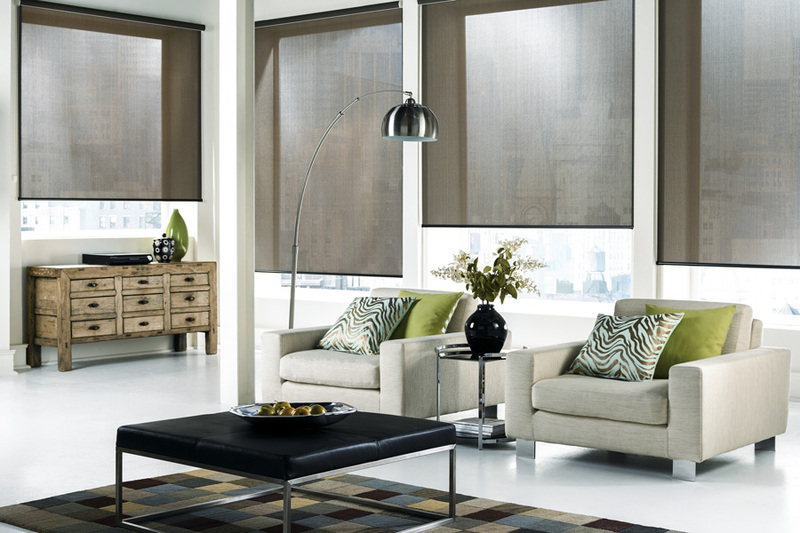 In addition to functionality, Cellular Shades don’t compromise style and come in a range of vibrant and subtle shades, infusing each window with its own character. Sunburst Shutters and Closets is acclaimed for its unmatched standard of service, a commitment reflected in its numerous glowing reviews. From the first consultation to the thoughtful and efficient installation, the expertise and enthusiasm of Sunburst staff will put any home-owner at ease. Timely, professional and detail-oriented services set Sunburst apart from the crowd and make the decision to install Sunburst shades a no-brainer. Sunburst Shutters and Closets’ Wood Shutters offer buyers incredible durability, energy efficiency, and a natural, timeless aesthetic. Environmentalists will appreciate Sunburst’s ecological commitments in building these shutters. Wood Shutters are made from select North American Hardwoods and manufactured with green ideals in mind, employing sound forestry techniques, and recycling sawdust and wood shavings. Wood shutters come in a range of colours and finishes to please any design taste. Mahogany and walnut shutters add a touch of warmth to any space while maintaining classic finishes that pair well with many aesthetics. White wood shutters complete a bright or beachy aesthetic and are ideal for airy kitchens and family rooms. In addition to these options, buyers can also customize paint and stain options to fit their interior design vision. In addition to sleek finishes, the Wood Shutters can boost the appearance of any room by allowing in ample sunlight. Sunburst Wood Shutters allows clients full control over how much light fills each room while also boasting a reliable light-blocking technology that makes these window treatments perfect for evening and nighttime spaces. Homeowners can also optimize their heating plan by taking advantage of the insulation provided by the shutters that help keep warmth in during the winter. What to expect with Wood Shutters? A major highlight of Wood Shutters is their unsurpassed durability. These window treatments are easy to maintain and are not threatened by clawing pets or toddling children the way other window treatments may be. Built to be resilient in warmer, coastal climates these shutters are guaranteed to last the test of time. Bonus accessories also optimize shutter functionality over time. Concealed louvre tension adjusters make light adjustment efficient while not sacrificing a touch of style or sleekness. The choice between traditional centre tilt or offset tilt rods lets clients have control over their aesthetic. Homeowners can choose from a variety of louvre size options including 4.5 inches for maximum view and minimum cleaning, 3.5 inches traditional plantation size and 2.5 inches California style. If the quality and masterful engineering of the Wood Shutters aren’t enough to convince you our solutions are right for you, Sunburst’s acclaimed client service will! On top of excellent quality, Sunburst Shutters and Closets holds itself to the highest standard of service, a commitment that is reflected in its glowing reviews. From the first consultation to the installation, the expertise and enthusiasm of Sunburst staff will put any home-owner at ease.